December is the month of gift giving, the month where we spend most of our money to share our blessings and to show our love to family and friends. A time where our Christmas Resolution and New Year's resolution become a long haul of listing and thinking, until we get to see that list again or not all on the next Christmas season. The point is most of it is 10% become real, 10% was started or about to accomplish and then here's another 50% you're going to this that again for the following year and what's left is the 30% where you plan to change it for some reason just don't think its gonna happen. We'll let's have it simplified. In my personal perspective I somehow overspend my own savings from my personal obligations up to my impromptu purchases. I have my own guilty pleasure and seasonal mood swings to do things maybe because I'm a creative person or simply because I'm just that or maybe, I don't have a self control over my spending. My answer is all of the above. Why? Simply because I was living at the moment is some point in my life that I wanted to feel free, free to do certain things that I just wanted to do with my own time and earnings and then when its "gone" the after effect becomes more clear and clearer to the point you plan things out for you not to lose at all. 2018, I gave myself a theme "HUSTLE MORE" this is because in 2017, my year was "HUSTLE", base on the learnings I got from Arriane Serafico's Braver Goals that I had in 2017 and unfortunately I wasn't able to complete it that's fine and I plan to work back on it. Fast forward, Some of my friends were talking about law of attraction and law of gratitude that made me wanted to write about this topic. I'm a freelancer; My earnings will depend on how I work and how things would turn out to be. Personal Obligations. I have bills to pay that's called Adulting and being responsible to contribute or provide things at home. Personal Freedom; as young as I was I wanted freedom in general and for me to achieve personal freedom I have to work out on my Financial Freedom despite I think I was a bit late to start it because I felt and realize I wasn't seeing results of my any of my hard work despite all the books, e-books, seminars and YouTube videos I have read and listened to. A little action was made on my part and it was both consistent and inconsistent on different areas. and last but not the least, Business funds for my Interior Design Services for me to operate in a larger scale. and these 5 will have to continue until the following years to come because i need to be consistent on the END GOAL if I wanted to achieve them, the key is to achieve this goal is to be able to provide a better service and understanding of one's self and to take a few steps backwards what matters to you because no matter how many times I write, share and be heard; it means nothing without consistent action on my own part. 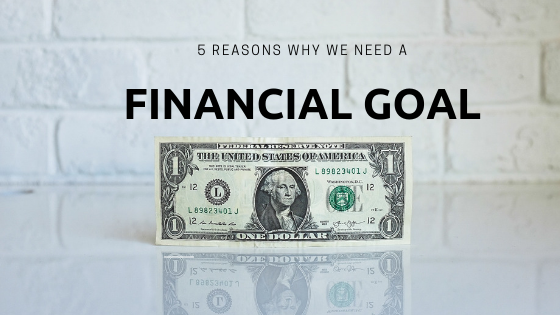 On my next post, I'll share on the ways on How to Achieve your Financial Goal as a creative person.